Apple will reportedly hold a special launch event on October 23 in the US where the world's largest technology firm is expected to announce its much-rumoured iPad Mini tablet computer. Invites were expected to be issued by Apple on Wednesday (October 10) for a launch event a week later for the so-called iPad Mini, but that proved incorrect, leading some to question whether the new product was coming at all. However, AllThingsD has now reported that "people familiar with Apple's plans" have said that the iPad Mini will actually be announced on October 23 at an "invitation-only event". If correct, the launch would fall on a Tuesday rather than a Wednesday, the day on which Apple typically likes to announce new hardware products. But it would come just three days before Microsoft rolls out its new Surface line of tablets, which will compete with Apple's iPad. AllThingsD feels that the iPad Mini launch would be a more "intimate" affair than the blockbuster unveiling of Apple's latest iPhone 5 smartphone last month, which was held at the Yerba Buena Arts Centre in San Francisco and closed with a performance by the Foo Fighters. Whilst the website has been unable to ascertain the exact location of the iPad Mini launch event, it feels that it may be held at Apple's Town Hall Auditorium, where the firm has previously announced products such as OS X Lion, a next-generation MacBook Air and the iPhone 4S. 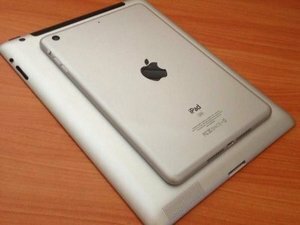 According to reports, "mass production" of the new Apple iPad Mini device got under way around a month ago, and the device could either go on sale in late October or early November. Steve Jobs, the late Apple co-founder, was famously opposed to tablets with a smaller screen size than the iPad's 9.7 inches, but documents in Apple's recent patent trial against Samsung revealed that he may have warmed to the idea almost two years ago. Taking into account the previous leaks and statements from 'industry sources', it appears that the new iPad Mini will have a screen size of 7.85 inches on the diagonal. This would make it larger than its biggest competitors, Amazon's Kindle Fire and Google's Nexus 7, which both have 7-inch displays. To match the competition, Apple is widely expected to fit the device with a fast processor, decent camera and long-lasting battery. 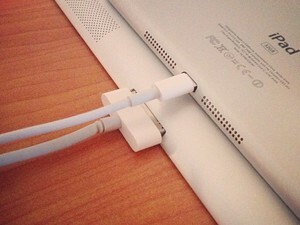 It is also likely that the iPad Mini will come with Apple's new smaller Lightning dock connector for charging and connecting accessories, as well as the EarPod headphones. 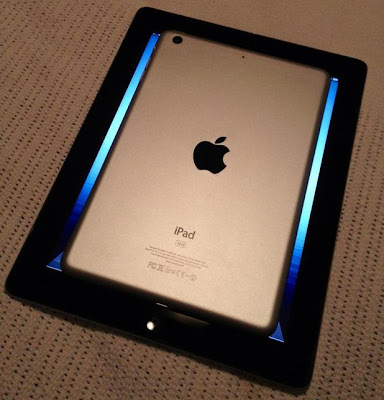 The original iPad kickstarted the tablet computer market when it launched in 2010, but the iPad Mini would arrive with lots of competition. Alongside Amazon's popular Kindle Fire range (coming to the UK this autumn) and Google's established Nexus 7, there are other 7-inch-screen tablets competing for customers' attention from Barnes & Noble and Apple's big rival Samsung. Sources have suggested that Apple will price the entry-level iPad Mini at around £180 to 200, compared with around £159 for the base Kindle Fire and Nexus 7. Apple could differentiate its small iPad by offering it with 3G, as other models don't support mobile broadband connectivity. 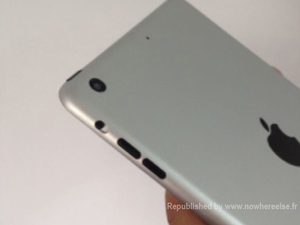 But it is now thought that cost issues will prompt Apple to just launch a WiFi-only iPad Mini. 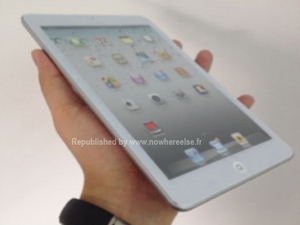 We could, however, see at the launch event a refresh of the new iPad that was launched in March. This may include the announcement of a 4G version coming to the UK on the Everything Everywhere 4G network that will go live on October 30.